The Lezyne Zecto Drive Y11 Light Set is an excellent pair of low profile lights with three ultra-bright LED’s each. Both lights create a fantastic 250 Lumens at the front and 80 Lumens at the rear, ideal for giving you added visibility whilst out on the roads. Being lightweight and having a durable composite matrix body, constructed from machined aluminium, when it comes to toughness this light has you covered. Also, featuring a clever power indicator which displays battery life and provides extra side visibility. Its mounting system is a patented versatile 2-in-1 Clip-On System, which straps to bars or clips to loops. A multi-purpose set of lights that you cannot live without. 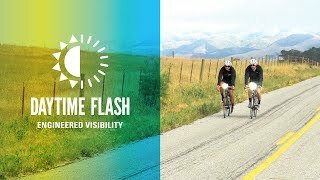 “Great lights for day use on the road bike.